ST. CLAIR SHORES, Mich. - Have you ever landed in Detroit in the middle of a snow storm after coming back from a tropical vacation, and wish you could start your car while you waited for your luggage? Well you're now going to be able to. We are expecting Remote Access to launch in the 3rd Quarter of 2013. Right in time for Michigan's winter season. You get convenience from a distance. 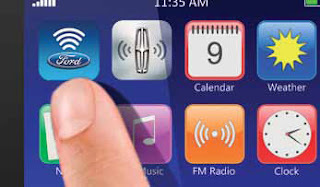 The new Ford Remote Access application for your smartphone (iPhone® or Android™) can be used from any location with a Wi-Fi® or cellular signal. When you are at work or traveling, keep track of your vehicle with optional email and/or text security notifications. It is also backed by a Ford Custom Accessories Warranty. Contact Roy O'Brien Ford for limited warranty details. What are the main features of Remote Access? Using a smartphone (iPhone® or Android™ device), features include: Lock/Unlock, Remote Start, and Audible Car Find. There also is an optional feature to receive email or text alerts for security (Perimeter alarm, shock sensor). All these features are also available via a web portal. Is Remote Access available on all vehicles? The Remote Access System is designed for "plug-n-play" with no wire splicing. The estimated install time varies by vehicle and ranges from 1/2 hour to 1 hour. 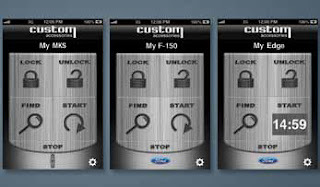 We will keep you informed and up-to-date with new information on the Remote Access product from Ford Accessories. In the meantime, our Parts department has you covered and can find any part or accessory that you need for your Ford vehicle.